I'd like to introduce to you the new My Lovely Secret. 🎉 What do you think of it? I thought it was time for another change (I gave my blog a makeover a few months ago). I did like the black/white template, but I felt something was missing - especially after visiting so many beautiful book blogs that made me feel ashamed of mine. I still have to change a few things, but, so far, I'm quite happy how it turned out. 🌻 As mentioned, new blog template. 🌻 Finally had day light to take a few #bookstagram photos. 🌻 Joined an international bloggers chat community created by Evelina @AvalinhasBooks. If you are from the group and are wondering why I don't interact much it's because I have social anxiety and even online it's awkward to talk to people for me. Are you waiting for A Conspiracy of Stars by Olivia A. Cole? I'm so in love with the cover of The Heart Forger by Rin Chupeco, sequel to The Bone Witch, one of my favourite readings of this year. *when you create a blog to review books and you scarcely do it* 🙈 If you enjoy a dark and violent dystopia that explores the worst humanity has to give when faced extinction, then you should give Shadow Fall by Audrey Grey a chance. You can read my review here. This week I decided to write my sign-up post for Beat the Backlist 2018. And, it made me realize, one more time, that I'm a very unlucky person. Why? I got sorted into the only team I didn't wan to! I'm sorry if you are part of the Novel Knights team, but the other teams were so much more alluring (Dewey Dragons? Story Sorcerers? Book Bards? A lot more interesting than Novel Knights....). Also, when I play those RPG games, I always chose the mage or the bard - I can't stand the knight! I'm sure this week I should change the title of this section for Huge Book Haul. I'm sure I'll probably forget something, but let me try to share with you all the books that arrived at my doorstep this week. 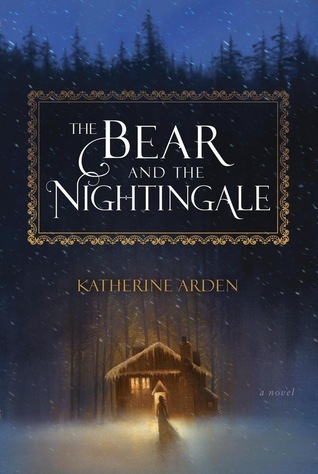 I got my second copy of The Bear and the Nightingale by Katherine Arden, which I'm currently reading - and loving. I also got An Enchantment of Ravens by Margaret Rogerson (I can't get over how beautiful this cover is 😻), To Kill a Mockingbird by Harper Lee (this is the prettiest edition I have ever seen) and We Should All Be Feminists by Chimamanda Ngozi Adichie. I bought, from Penguin English Library, for my dissertation, Frankenstein by Mary Shelley, Dracula by Bram Stoker and Dr. Jekyll and Mr. Hyde (I always mess this title up) by Robert Louis Stevenson. I also got one e-book from Instafreebies, Haven by Katherine Bogle (at least it was for free). I can't wait to see your theme on the PC! Looks nice so far :) I've sent you a screenshot to the group, there's a tiny problem with mobile, at least on my device. Your new theme is stunning! Really gorgeous. Frankenstein is SO good! I loved that one. And I'm longing to read Dracula, so I hope that's good too. I am a new reader and not familiar with the old theme, but the new one is really pretty and seems to suit your blogging style! I had a nice week that ended with a weekend getaway spent with some friends I do not see as often. This week I was really good at not buying books - the orders I placed online do not count until the books arrive, right? The books for your dissertation are some of my favourites! All three of them, actually! I often reread them throughout the year too. Good luck with Uni! I think your blog theme is lovely! Congrats on the redesign! Love the changes. Yay for goodies arriving in the mail! Hope this week is a good one for you! Lovely new look at the blog! Sorry you got sorted into a team you didn't want for the reading challenge. :( Hope it works out for you anyway. I've heard great things about An Enchantment of Ravens... hope you'll enjoy it! I love the makeover! My blog badly needs one. Have a great week! Love the changes to your blog! I hope you have a great week! Book hauls are the best kind of book news in my opinion. I rarely by books anymore, I get most of mine from the library, KU, or an ARC. But I have plans to start building up my library again, it might just have to wait a little longer. Both The Bear and the Nightingale and An Enchantment of Ravens have very gorgeous covers. I hope you'll love them. I requested The Bear and the Nightingale at my library, I have high hopes, but sometimes that's almost a guarantee for it to not work for me. We'll see. Have a great week and happy reading!!! I've heard good things about The Bear and the Nightingale so I hope you love it! Your blog looks lovely! I hope your new books are all winners! Love the new look! 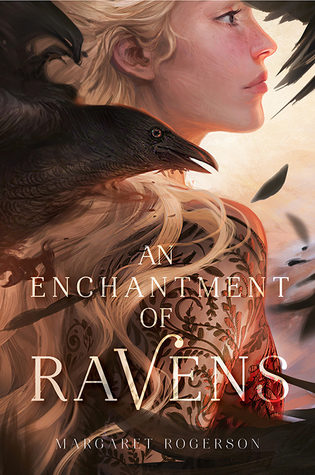 I can't wait to see your thoughts on An Enchantment of Ravens because I've seen mixed reviews of it. I await your thoughts! I love the look of your two new books. So pretty! I love the changes! I keep trying to talk my co-blogger into updating our site, but she is quite resistant to my suggestions. I can't wait to see what you think of The Bear and the Nightingale and An Enchantment of Ravens. The blog looks quite lovely. The new books do have nice covers. Happy Reading!